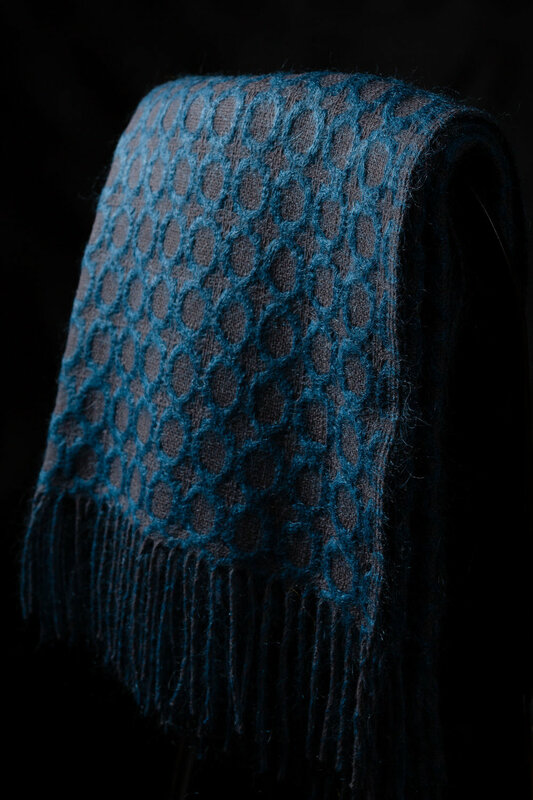 A first encounter with a Mantas Ezcaray blanket is very much a sensory experience: the wool is so soft it could be silk, the colours are bright and appealing but not garish and your hand practically disappears into the thick fibres. There’s an overwhelming desire just to wrap yourself up in it. 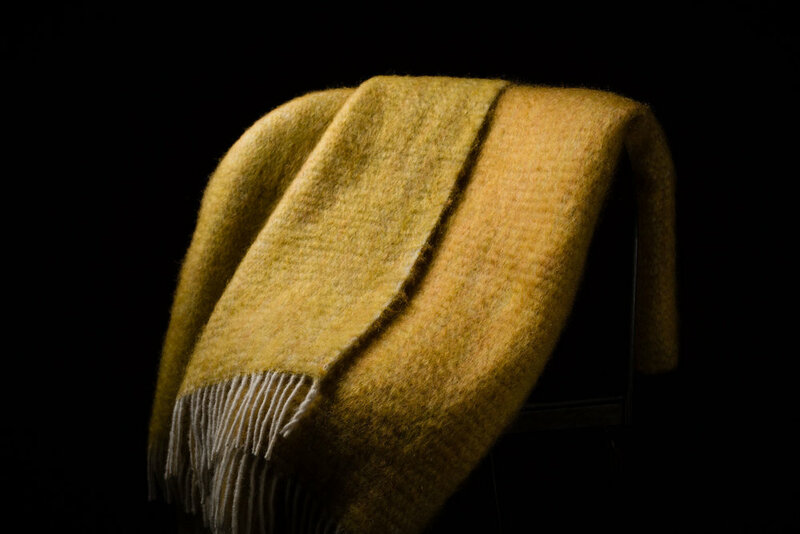 And it gets better: this is a luxury woollen blanket that not only looks great and feels great but is handmade using traditional methods by a family firm that’s been doing it like this for generations. Much of the machinery dates not from the last century but from the one before. 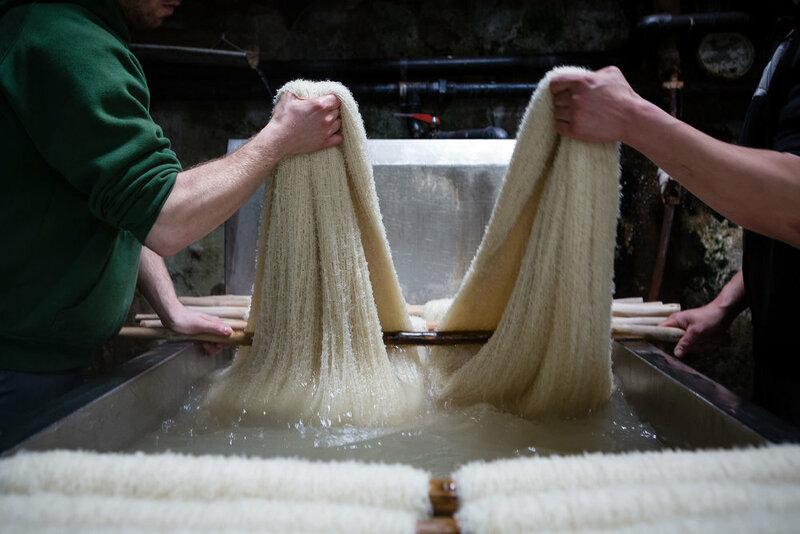 The wool is washed not under a tap but in river water that, happily, has exactly the right neutrality (PH7). And so it goes on. Now all I had to do was come up with a way to photograph them encapsulate all of the above (the quality, the feel, the pattern, the workmanship). And since the photos were for a the Mantas Ezcaray’s trade catalogue the images also needed to show the technical qualities of the different products: their textures, asymmetrical designs and three-dimensional nature etc. So I settled on the simple elegance of a black background and set up lights so they would bring out the shine and depth of the fibres. I guess the trick is to know your product and think of a way to photograph it in a harmonious way. The catalogue images are interspersed with more photos from around the factory which show the artesanal philosophy and heritage of Mantas Ezcaray.